In the 1950’s school children were instructed to “Duck and Cover” in the event of a nuclear explosion. The idea was that kneeling under a desk with hands clutched over necks would safeguard children against nuclear attacks from communist countries. It seems oddly strange that anyone would buy into this pattern of thought, yet the drills were followed diligently because of the very real possibility of nuclear attack (that never happened). The Federal Civil Defense Administration (FCDA) was established in 1951 to assist in educating the public on how to survive. Now, fast forward nearly 48 years to April 20, 1999 and the shocking massacre of High School students and staff in Colorado. The murders of 12 students and 1 staff member were forever etched into the history of the United States. Sadly, this scene would continue to repeat throughout schools, businesses, churches, and government offices for many years. The Federal Bureau of Investigation (FBI) cites that the United States averaged 20 active shooter incidents annually in 2014 and 2015. 1 These figures represented an increase from 17 active shooter incidents recorded in 2013. There is a new threat to the safety of America, the active shooter. So, armed with the knowledge that individuals are actively engaged in killing or attempting to kill people in populated areas on a trending basis in the United States, how do we respond? Sadly, many educational systems and workplaces choose to utilize a version of the “Duck and Cover” by using normalcy bias, a mental state that causes people to underestimate the possible effects of disasters and allowing them to believe that things will function as they always have. In short, people become paralyzed with the thought of a catastrophe and fail to take evasive actions. It has never happened to me; therefore, it won’t happen to me is most certainly a recipe for disastrous consequences. The U.S. Department of Homeland Security recommends “Run, Hide, Fight” as a method to combat the active shooter threat. 2 This method of defense encourages participants to take an active role in securing their own safety by escaping if they are able, hiding if they can’t escape, and fighting the assailant as a last resort. Similarly, the Advanced Law Enforcement Rapid Response Training (ALERRT) program at Texas State University created a program called “Avoid, Deny, Defend”. This method mirrors “Run, Hide, Fight” by encouraging participants to avoid contact with an active shooter and have a pre-planned escape route. Additionally, it recommends barricading one’s self to deny access and fighting aggressively if all other options fail. Perhaps the most widely used method to combating the active shooter threat is called ALICE. 3 ALICE stands for Alert, Lockdown, Inform, Counter, and Evacuate. This program boasts having trained more than 1,000,000 individuals across 50 states on how to survive an active shooter incident. In its’ most simplistic of forms, it too is consistent with the premise of escaping if possible, barricading against intrusion, and engaging the assailant if necessary. There is no single solution, no magic potion, nor any miracle cure for the active shooter threat. We must rely on our natural instincts and training to mediate the outcome. Remember, if something doesn’t look or feel right, it isn’t. We must respond appropriately and without hesitation to ensure our survival against the scourge of mindless brutal assaults designed to inflict as much terror and death as possible against soft targets such as schools and houses of worship. While trainings of the past attempted to prepare us for threats that were a possibility, modern strategies such as “ALICE”, “Run, Hide, Fight”, and “Avoid, Deny, Defend” attempt to prepare us for active shooter threats that are a modern-day reality. 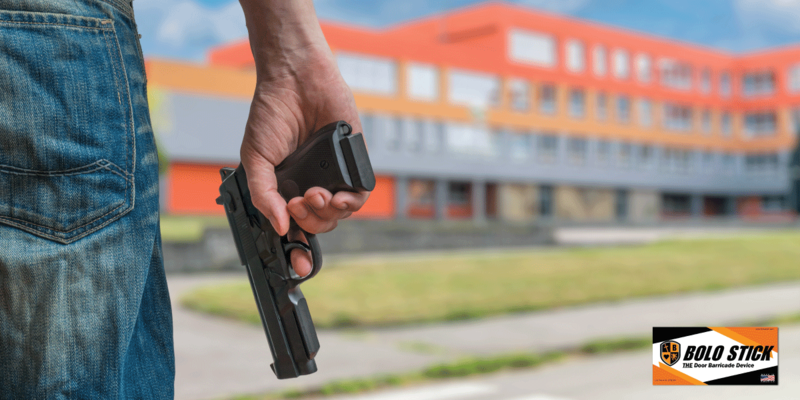 It is vital that schools, workplaces, and houses of worship implement planned defensive measures for critical incidents such as the active shooter threat. The active shooter threat is real and ongoing.